The Family Preference visas have a cap so the number of visas issued in a year is limited. This means that each category gets a certain amount of visas per year, while the others wait for their turn. This article will go through the F2B visa, what it is, its requirements, application process, and other relevant details. 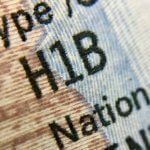 What is the F2B Visa? The F2B visa is a Family Preference visa that issued to the spouse or unmarried minor children of U.S Green Card holders. An adult child is defined as the birth or adopted a child of an LPR who is over the age of 21 years old and is unmarried. If you are married or cannot prove that your parent is in the U.S through documentation, then you do not qualify for the F2B visa. The F2B visa gives you the opportunity to reunite your family. It also allows your adult child to live, study, and work in the U.S permanently and legally. 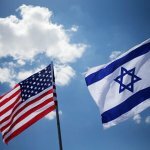 What are the requirements for the F2B visa? How to Apply for the F2B visa? The application process cannot begin until USCIS approves the petition of the LPR for their child. The adult child cannot simply apply through a U.S Embassy without the permission of USCIS and will not be taken into consideration. The U.S LPR must file Form I-130, Petition for Alien Relative to USCIS. 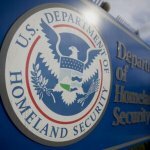 The petition goes to the Department of Homeland Security as part of USCIS. There is a fee that the LPR must pay and it is set by USCIS. USCIS then processes the petition and sends their answer to the LPR. If they deny the petition, they will also state the reason for denial. This means that the LPR can then adjust their application and send the petition again. If the petition is approved, then the LPR will be notified and USCIS will send the documents to the National Visa Center (NVC) for further processing. The NVC will look over the case and send a package to the applicant (adult child) containing instructions on what to do next. It will contain the case number and invoice ID number, which the applicant will need for their application to the U.S Embassy. The package will have forms and fee requirements and will outline the rest of the process. To be able to complete step two, the applicant must wait for their date to be current. That is because there is a cap on the F2B visas. You have to wait until you are in line for the next batch of F2B visas if the cap for this year is reached. When your date is current, NVC will inform you and you can begin applying for the visa. When your date becomes current, you will be able to follow the NVC instructions step by step to ensure that your application is without mistakes and is accepted by the U.S Embassy. This part of the application process must be completed by the adult child in the U.S Embassy or Consulate at their country of residence. NVC will send the documents to that Embassy so that they can review the information too. Form DS-260, Immigrant Visa Electronic Application is the form which all applicants for immigrant visas must submit. The application is online and will go through your personal or background information and why you want to immigrate to the U.S. You can access it by entering your NVC case number and invoice ID number. Fill in the sections that are necessary and after submitting it, you will get a confirmation page and number which you must submit to NVC as part of your documents file. If you are planning to immigrate in the U.S, then having a medical examination and taking the necessary vaccines is mandatory. The NVC will send you a list of the check-ups that you must get from a licensed doctor as well as a list of what vaccines you need. You must complete both of them and have the documents ready to send to NVC. Two photographs according to the Photo Requirements for a USA visa. The interview is the last step before you can get your visa. When the NVC processes all your documents and determines that you fulfill the requirements, they will schedule your interview at the U.S Embassy or Consulate in your country of residence. You must go there on that date and the right time. An official from the Embassy will interview you to determine whether you can get the F2B visa or not. Receive NVC packet and travel to the U.S. If your visa is approved then the U.S Embassy will stamp it in your passport and you can now immigrate to the U.S. Also, the Embassy will give you a sealed packet, which you cannot open under any circumstances. When you travel to the U.S, you must take the packet with you and have a U.S immigration official open it. 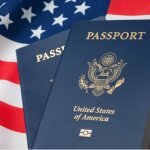 What are the F2B visa fees? USCIS Immigrant Fee which you must pay after you receive your visa and before you travel to the U.S. USCIS will not issue you a Green Card without you paying this fee. How long is the F2B visa processing time? Unfortunately, there is no set time that can be used to determine how long it will take to process the F2B visa. Because there is a limited amount of visas, many people end up waiting for 2 or more years, with extreme cases having waited for 7 years. That is why you must only wait until your date becomes current and then start the application process. What if the petitioning LPR got a U.S citizenship while the F2B visa is processing? Because it takes so long for the F2B visa dates to become current, in the meantime the LPR or parent of the applicant might get a U.S Citizenship. With a U.S citizenship, the parent can then petition for the Immediate Relative (IR) visa for the adult child in a foreign country. The benefit of that is that IR visas do not have a cap and they have faster processing times. The parent can then have the opportunity to submit a new petition for the IR visa.